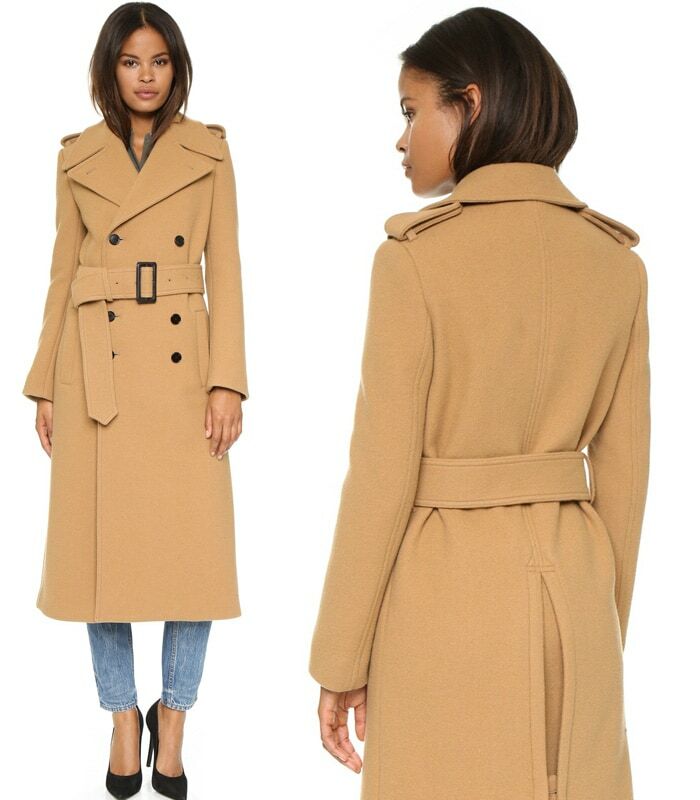 It’s coat season again! 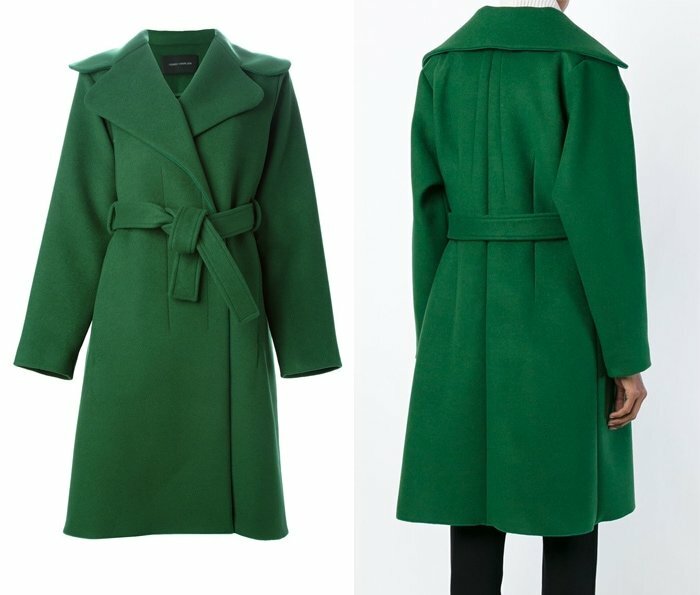 We’ve been spotting lots of celebrities and celebrity-acquainted people wearing this season’s trendiest outerwear. Here’s Amal Clooney in a teal suede coat from Burberry Prorsum. The British lawyer seemed to be fighting a strong gust of wind when she arrived at a restaurant in London. 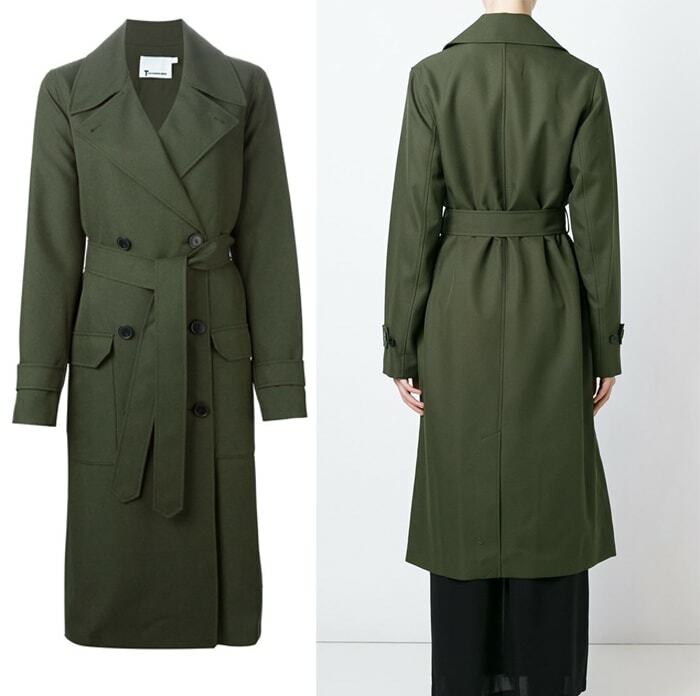 But thankfully, George Clooney’s wife was armed and ready in this season’s hottest outerwear – the Burberry Prorsum degrade trench coat. 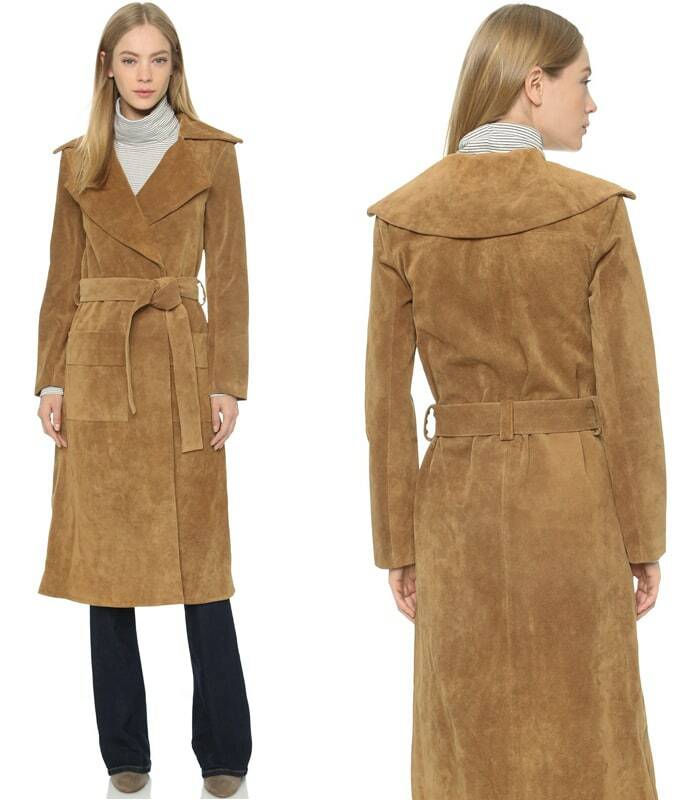 We love the ombre color of this trench coat, the suede material and the belt that allowed the lawyer to cinch it at the waist and emphasize her trim figure. The coat elevated her somber grey attire and made it look much more youthful.